Mac Game and Utility Bundles at the lowest prices we offer new bundles on a monthly basis at fixed prices as well as pay what you want bundles. All of our bundles come with a 30 day money back guarantee and are of the highest quality. 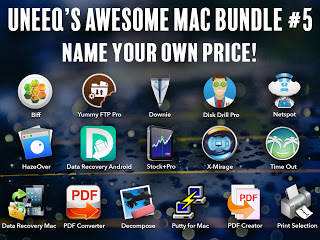 We have Mac Game Bundles, productivity bundles, office application bundles, choose what applications you want bundles, at both fixed price and pay what you want. We also have a Affiliate program that offers a 15% commission on all sales made from your Affiliate account. Slicksync Excel Synchronizer Pro makes it easy to synchronize your Microsoft Excel files to a local, network or removable drive!